This adorable childrens pattern is Easy to Sew, and can be made in one fabric with or without ruffles at hem, or with contrast band and pocket. 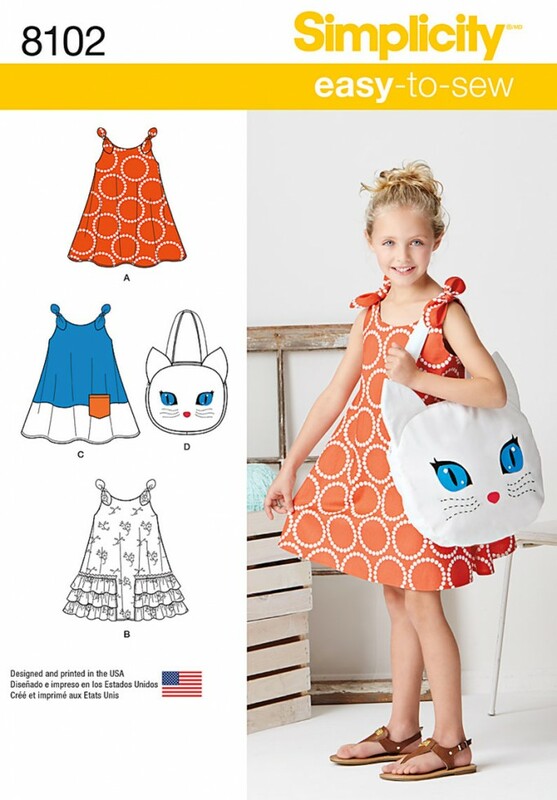 Pattern includes kitty face tote bag. Simplicity sewing pattern.